As much as we love Easter eggs, sometimes its nice to give something a little different. 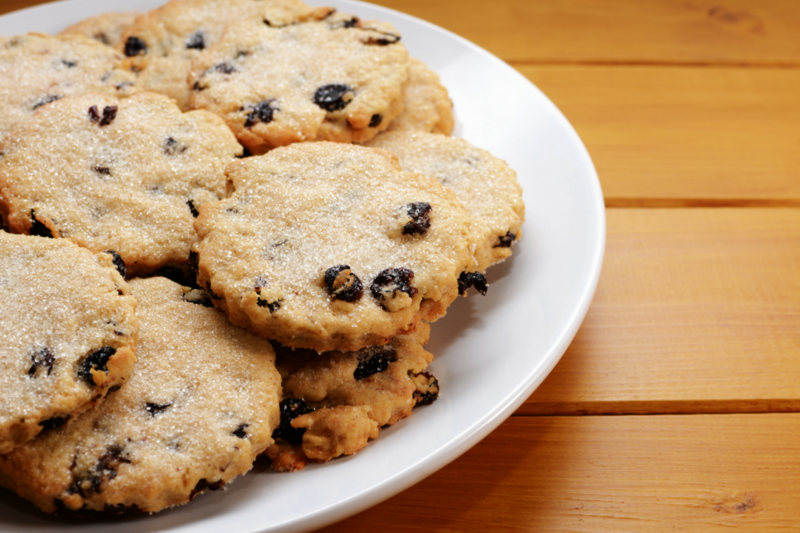 We just love these delicious little biscuits. They are quick and easy to make, and make a the perfect homemade gift to give this Easter. 1. Preheat your oven to 200C/180C Fan/Gas 6 and line two to three baking trays with baking paper. 2. Put the butter and sugar in a bowl or mixer and beat until well combined (fluffy and pale). 3. Add the egg yolk and lemon zest and mix carefully. 4. Sift in the flour and mix well. 5. Stir in the currants and enough milk to make a soft dough. 6. Knead the dough on a floured work surface. Using a rolling pin, roll out the dough until 5mm / ¼in thick. 8. Place onto the baking trays using a palette knife and bake for 8 minutes. 9. Lightly beat the egg white using a fork. 10. Remove the biscuits from the oven and brush the tops with the beaten egg white. Sprinkle over caster sugar and return to the oven for another 5 minutes, or until pale golden-brown and cooked though. 11. Leave to cool on the trays for a few minutes then carefully lift onto a wire rack to cool completely. The biscuits will store in an airtight container for three days, but we’re sure they won’t be around that long!! Yummm…. TOP TIP FROM MARY BERRY – Work quickly in a cool area of the kitchen as you do not want the dough to become too soft. If it is soft after mixing, chill it for 10 minutes, or until easier to handle.